Leading provider of LAMDA in Schools. "We don't look backwards for very long. We keep moving forward, opening up new doors and doing new things..."
"Don't be satisfied with stories, how things have gone with others, unfold your own myth"
"Imagination is everything. 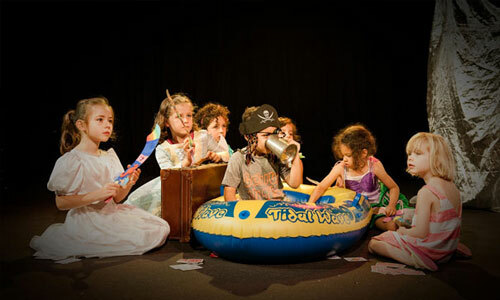 It is the preview of life's coming attractions"
Courses for younger children to take them on many exciting adventures. 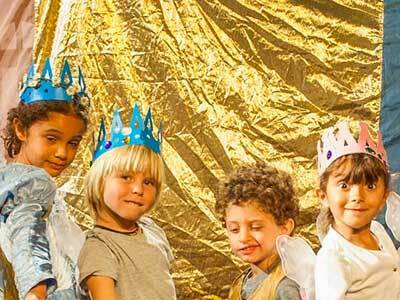 Classes designed for the slightly older children able to explore and improvise. 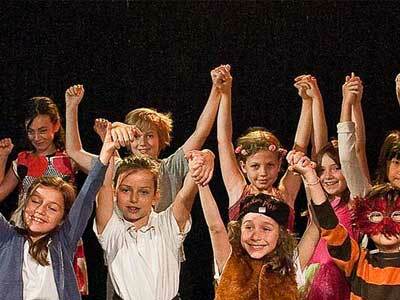 Fun and varied sessions that encompass all aspects of stage performance and drama. More advanced drama techniques with guidance from specialist tutors. All the children loved the party, particularly Lucy, and none of us could quite believe what they managed to achieve in just an hour and a half. The performance was great and there were lots of proud parents! For your reference, I have an older son, Alex, who was in Reception and has been attending the Wednesday classes. He has really been enjoying them…very happy and enthusiastically telling me about what goes on…especially the one earlier in the year with the planets…he’s actually developed such an interest in them! Needless to say, I’ve signed him on for the Autumn classes! Nick (his younger brother) has been so inspired by Alex that he would like to join the club too. This was hands down the best holiday club my three children have ever done. They loved every minute. Thank you to all the lovely allsorts teachers who made it such a fantastic week. Thank you so much for all the wonderful drama lessons at Miss Daisy’s Nursery. Miss Avra is incredible at taking the children on magical journeys each week and the children absolutely love it! Even the most shy child cannot resist being transported onto all the wonderful adventures she takes them on and this has worked wonders for their self-confidence. 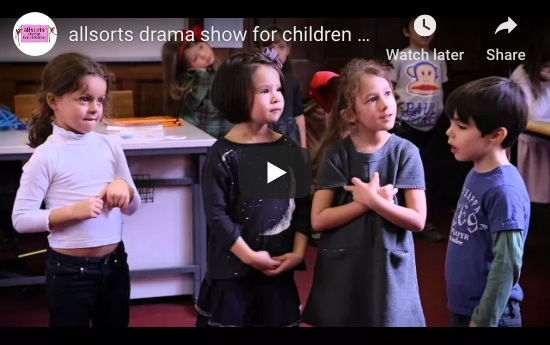 For 30 minutes they are able to express themselves in all sorts of ways, play different characters and let their imaginations run wild – they love it and so do we! 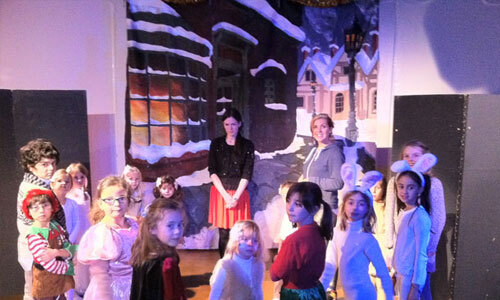 St Nicholas School has been delighted to have an association with allsorts drama that goes back over 10 years. 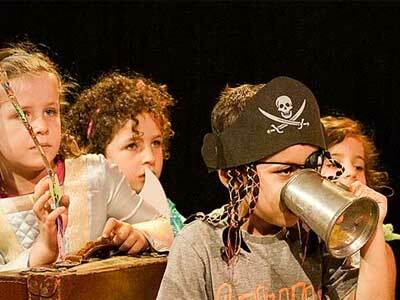 The children develop dramatic skills and talents through improvisation and workshops which help build confidence and make new friends. Our children have enjoyed the fun and professional approach that the teachers have brought to this vital part of their development. Many thanks and long may it continue! I particularly love teaching the younger students at Northbridge as I see a real development in their confidence throughout the academic year and they have such vivid imaginations. 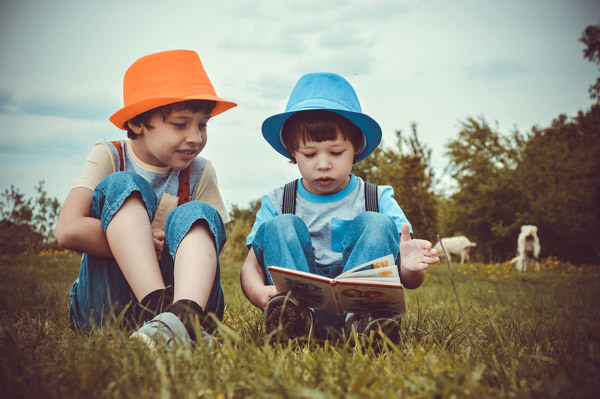 They become fully immersed in the games we play and the poems they perform, it is lovely to teach a subject that the children enjoy so much and look forward to every week. Hello Sasha, I would like to thank you for getting Genevieve and Lucas Gray started on LAMDA this year. This is the first exam I have ever seen Gen skipping with joy at sitting. Its so great to see her so happy. Lucas equally has come on leaps and bounds. He was struggling with his confidence at the start of this year. He started this academic Year Two feeling really self conscious about how he spoke. I have noticed the LAMDA lessons have taught him to have a proud voice and to be heard. He is a completely different child when he reads his poem. Thank goodness the LAMDA sessions began! I just wanted to share how much fun it was watching the performances last Tuesday. Holly has done such a great job. Helena said her party was the most wonderful day of her life, can’t do better than that, eh? Sasha, the show yesterday was marvelous, everyone was wonderful. Thank you so much for organising such a fantastic course. Teaching for allsorts is a rewarding and enriching experience. As a teacher, allsorts offers you the opportunity and freedom to truly engage with each student’s individual creative abilities or spirit. We encourage students to grow through supporting their own creative initiative. This nurtures a student’s self confidence and self expression. Equal attention and importance is given to the process and it’s product. Yes the party was wonderful! Caroline and her assistant really captivated their full attention and everyone had a ball! Thank you very much for all of your guidance! Daisy adores the classes so much I can’t tell you. Melissa, I just wanted to let you know that Maddy was made Mallard House Captain on Friday, on the basis of a speech that she had to make in front of the whole house in the main hall. She told me that it was her LAMDA lessons that had really helped her, because before LAMDA there is no way on earth that she would have been able to stand up in front of an audience and speak, never mind speak loudly and confidently. The feedback from Miss Scamman was that she spoke really well and they couldn’t believe that she had done it…. Thank you so much – it is really proof of how much LAMDA can do! See you soon. Brooke was so thrilled with her recent LAMDA result achieving distinction for her grade 2 exam. Thank you to you and your team for your continued professionalism, support and for encouraging Brooke’s passion for acting. I would like to inform you that I am very pleased with all of the hard work the Lamda teachers did this year at NBH. Simona gained her confidence a lot and she was made to achieve goals on exams and poems. A big thank you to everyone for their amazing work. Hi Melissa, Just wanted to say how much I enjoyed your production on Friday. Kids were great! I just wanted to say how pleased I am with the quality of your LAMDA teachers. They are very dedicated and professional and not only achieve high standards in the graded exams, but importantly provide enjoyable classes. I am delighted by the progress that Clara has made over the past few years, working with your team. The Lamda sessions at school have honestly been Sahara’s most favourite moments in her school life so far. She has developed a real passion for this type of expression and hopes to continue in her new school in September.